There are 3 main reasons, to look good, to allow your teeth to function correctly and to allow proper facial growth. When Is Best To Start? The timing to start treatment will vary per patient. Your child will usually fall into one of 4 groups, very early, early, adolescent or late adolescent / adult. Dr. Clark is a orthodontist who specialises in evidence based orthodontic treatment. Once we have decided when to treat, Orthodontic treatment broadly can be achieved from 2 main types of appliances. 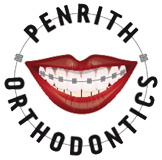 Penrith Orthodontics Copyright © 2019.